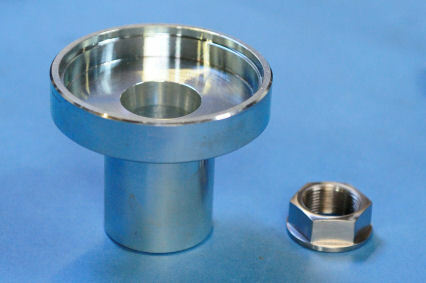 Most of the rings we sell do not require any special fitting tools. However, there are some that are very delicate, and while you might get away without using a tool, we strongly recommend you use one to avoid damaging the ring when fitting it. This tool is used to slide the magnetic rings into place slowly, applying even pressure gradually to the ring throughout application. When you add a ring to your cart that requires this tool, you will be prompted as to whether you wish to add the tool to your order or not. We do need to charge for these tools, but if you wish to return the tool later, we will give you a refund on the returned item which will reduce the overall cost to you. Also, as the fiiting tools are quite large and heavy, the prices for delivery are higher when when ordering one of these fitting tools.